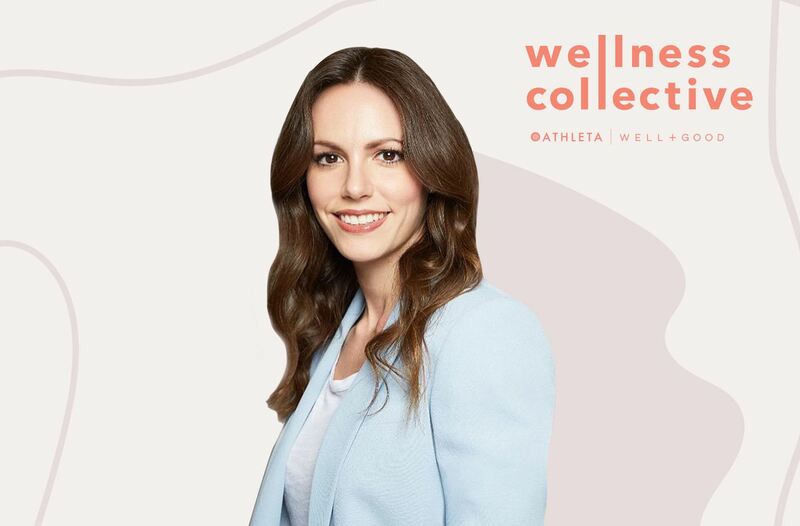 Meet Wellness Collective, our new, immersive curriculum with Athleta that hooks you up with actionable advice from the smartest experts and brand founders in wellness right now. Get the goods at our monthly event series in New York City plus our online one-month wellness plans. Here, Well+Good career-advice columnist and author Amy Odell divulges her four-step plan to get you closer to your dream gig. Study. Intern. Climb the ladder. It’s the pathway many of us have followed into what’s now our careers—but if you find yourself suddenly looking around and not loving the view, it’s time for a gut check. And maybe a literal one. Being stressed out at work can have ripple effects across the rest of your life, from the quality of your sleep to the time you have to squeeze in a workout to your tendency to phone in takeout after you’ve put in long hours (ahem, aforementioned gut-health nod). So when you find a career that gives you room for balance and the opportunity to grow, it’s the ultimate happiness hack. The hard part? Actually finding it. Whether you’re confused about your path or want to shift gears into something that fuels your well-being—rather than hinder it—we’re bringing in the big guns to help you do just that. As in, Well+Good career columnist Amy Odell—former editor of Cosmo.com and media maven—who’s sharing the surprising strategies that can bring you clarity, stat. Keep reading for your four-week plan to land a full-time job you love—and still maintain your wellness. First, start with the basics: AKA, your interests back in school. “For me, it was writing papers, so I chose journalism because I always loved researching and writing,” Odell says. If everyone in your dorm came to you for meal-time advice, a career in health coaching or culinary nutrition might be in the cards. After your initial brainstorm, seek out wisdom from others. “Family and friends are always great for advice, but sometimes it’s also nice to get feedback from an unbiased third-party source,” says Odell. Talking through your unique interests and experiences with a career counselor or life coach just might trigger an aha! moment. While every job comes with some level of compromise, try to commit to your basic outline rather than talk yourself into a position that feeds your desire to appear successful over your desire to be fulfilled. While you’re preoccupied with finding a new career, don’t forget to spend time doing the things you love. Maintaining your relationships will help keep your spiritual tank full and put things into perspective as you undoubtedly face obstacles in the road. Sending out 50 cover letters and only hearing back from a couple companies is tough. But according to Odell, getting rejected is an opportunity to prove yourself or further zero in on what you really want. And remember: An interview isn’t just about whether you’re right for the job—it’s about if the job is right for you. “With any new opportunity, I look for two main things: an exciting role that will challenge me to do things I haven’t done before, and a company that seems like it’s heading in the right direction,” says Odell. Rejection? That’s just your jumping off point.